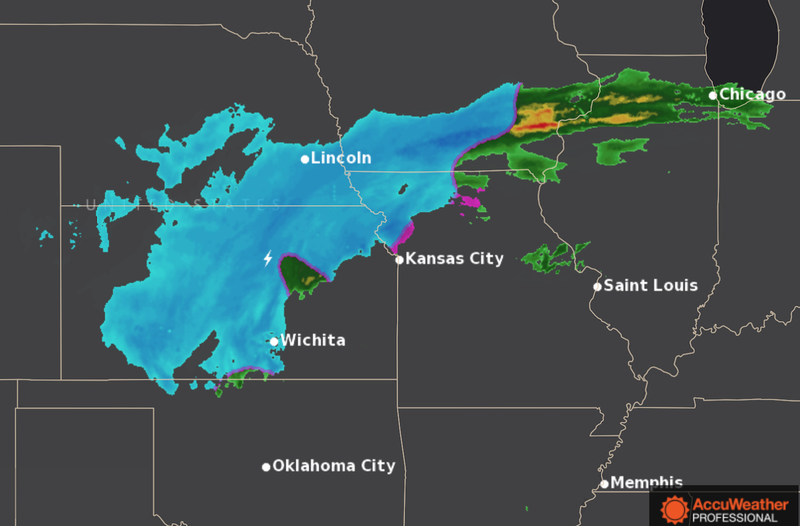 Interstate 70 is closed in central Kansas. There are semi's jackknifed and there are numerous slide offs. The winds have gusted to 58 mph at Wichita's Eisenhower National Airport in the last few minutes. 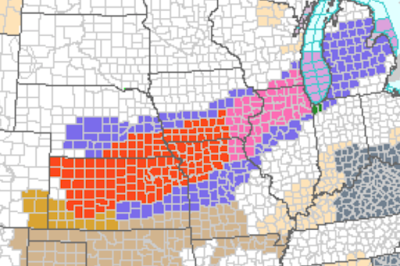 The blizzard warning (orange) has been further extended to the south and west. The winter storm warning (pink) has been expanded in Illinois and Wisconsin and includes both Chicago and Milwaukee. A high wind warning (gold) continues in southwest Kansas and southeast Colorado. Here is the radar as of 8:25am. Note the lightning bolt near Salina, Kansas. That is an indication of "thundersnow" which means snow rates can be as much as 4"/hr. With the winds that can mean severe blizzard conditions that are completely unsafe for driving. In the strongest possible terms, I urge you to postpone your trip if you have to drive through the blizzard/winter storm areas. So far, the only airline delays are at Denver (deicing) and Atlanta (low visibility). 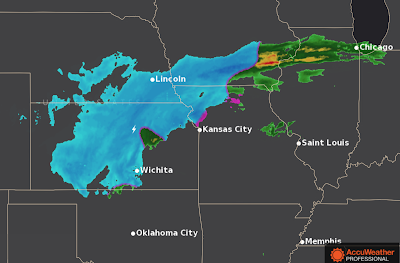 That will change as conditions deteriorate in the Chicago, and likely Milwaukee, areas.